Flip a coin. 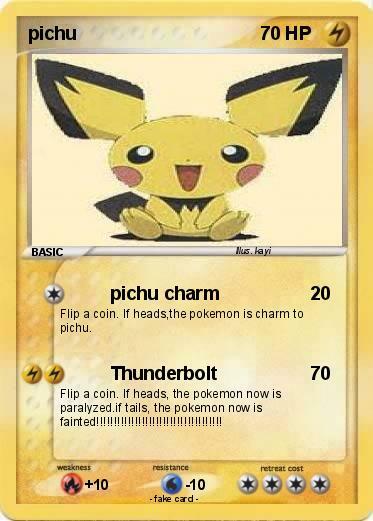 If heads,the pokemon is charm to pichu. Flip a coin. If heads, the pokemon now is paralyzed.if tails, the pokemon now is fainted!!!!!!!!!!!!!!!!!!!!!!!!!!!!!!!!!!! !